Now that spring is here and the weather starts to get warmer it is time to book that weekend getaway that you have been promising yourself. 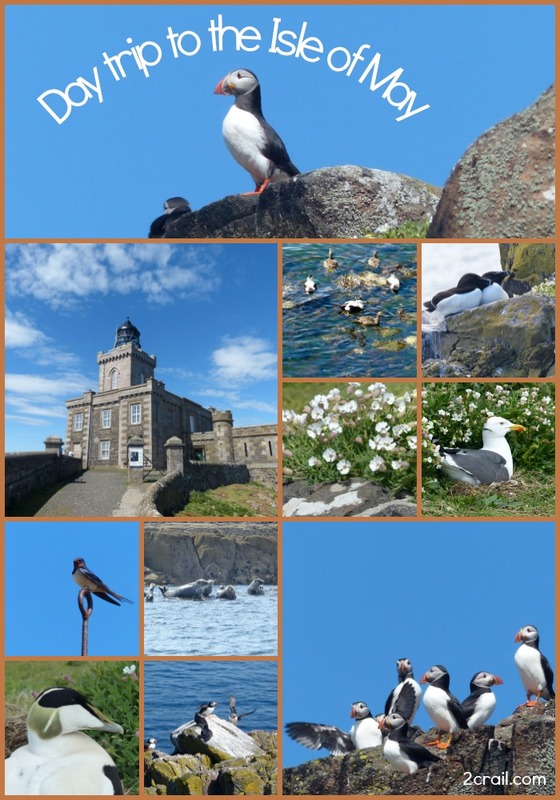 You will find lots of things to see and do in Crail and the East Neuk of Fife. Here are just a few ideas to make your weekend a memorable one. Arrive at Sandcastle Cottage Crail late Friday afternoon. Dinner or High Tea at the Golf Hotel Crail. 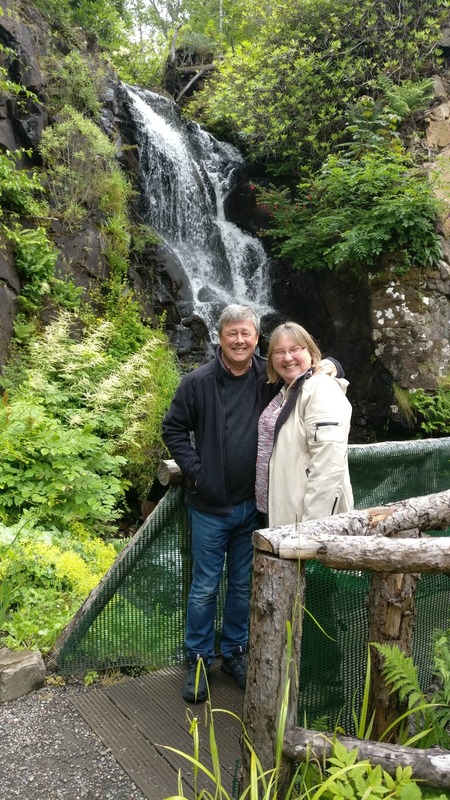 Saturday – Day Trip to the Isle of May Nature Reserve on the May Princess or Osprey RHIB. This is truly an amazing day out where you are guaranteed to see Puffins, Razor Bills, Guillemots, Arctic Terns, Eider Ducks and Grey Seals. See our blog for details Dinner in the Evening at the Bistro Dory in Pittenweem. Sunday – Relax in our cottage garden with colourful flowerbeds. 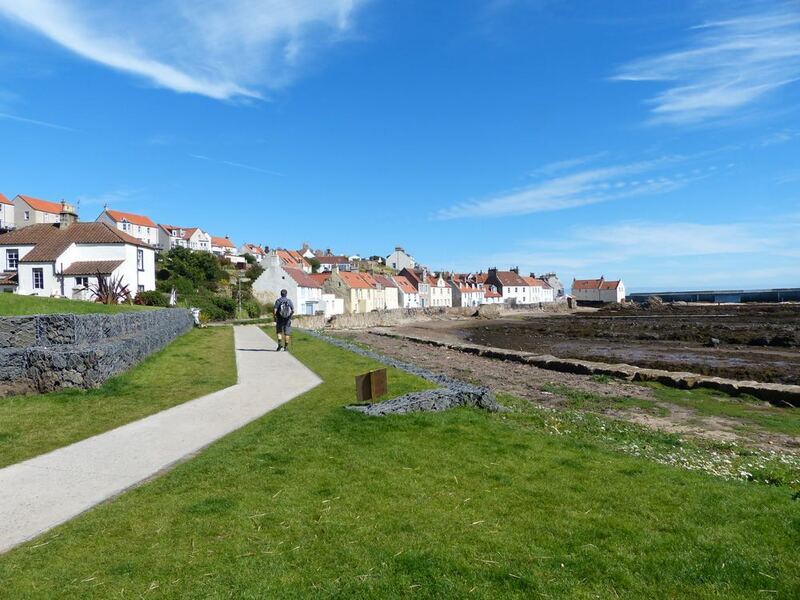 Take a walk round Crail. Browse in Crail Pottery, visit Crail Gallery or Crail Museum & Heritage Centre. See our blog for details. 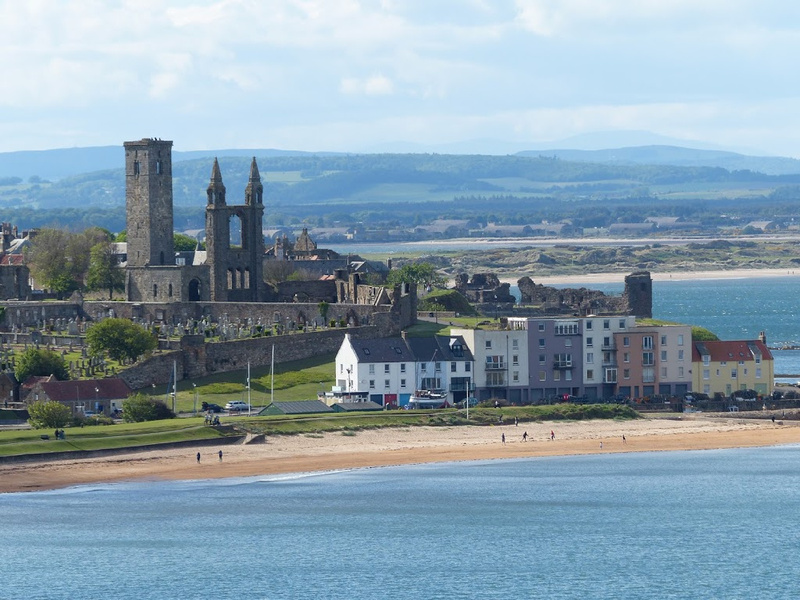 Saturday – Walk the Fife Coastal Path from Elie to Anstruther and stop for lunch at the East Pier Smokehouse or Craig Miller 16 West Shore in St Monans. See our blog for details. Visit the award winning Anstruther Fish Bar in the evening for Fish & Chips. Sunday – Relax in our large garden with colourful flowerbeds. 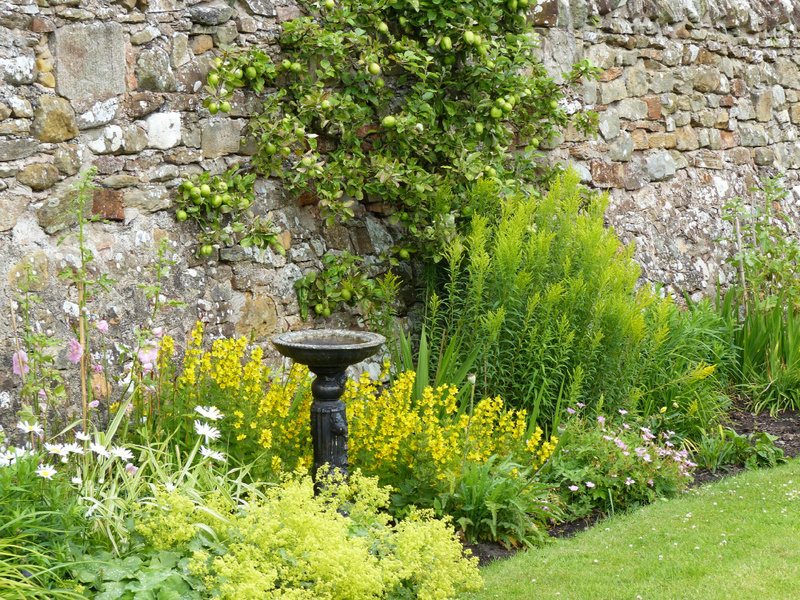 Visit Cambo Heritage Centre with its large walled garden and glasshouses. Walk along Kingsbarns Beach and buy a Toastie from the Cheesy Toast Shack. See our blog for more details. 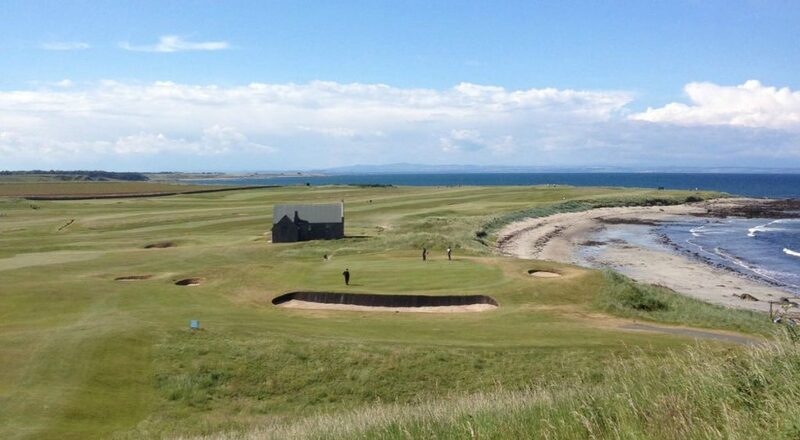 If you are a golfer Crail Golfing Society offers two excellent championship courses. Balcomie designed by Old Tom Morris and Craighead designed by Gill Hanse offer the golfer spectacular sea views. See our blog for details. Arrive Sandcastle Cottage late Friday afternoon. Dinner at the Golf Hotel Crail. Saturday – A round on Balcomie Links with lunch at Crail Golfing Society Clubhouse. Afternoon round on Craighead Course. Dinner at The Cellar Anstruther the East Neuk’s Michelin Star Restaurant. Sunday – Relax in our lovely garden at Sandcastle Cottage. Take a walk round Crail. See our blog for what there is to look out for. Arrive Sandcastle Cottage late Friday afternoon. Order Fish & Chips from our excellent Fish & Chip shop in Crail. You can sit in or take away. Alternatively you can cook dinner yourself. You will find all you need to cook at great meal from Crail’s local shops in the High Street or buy Fresh Crab or Lobster from Crail harbour. See our blog for details. Sunday – Enjoy a stroll along Roome Bay our local beach just two minutes walk from Sandcastle Cottage. Relax in our lovely garden with colourful flowerbeds. Enjoy breakfast on the patio. 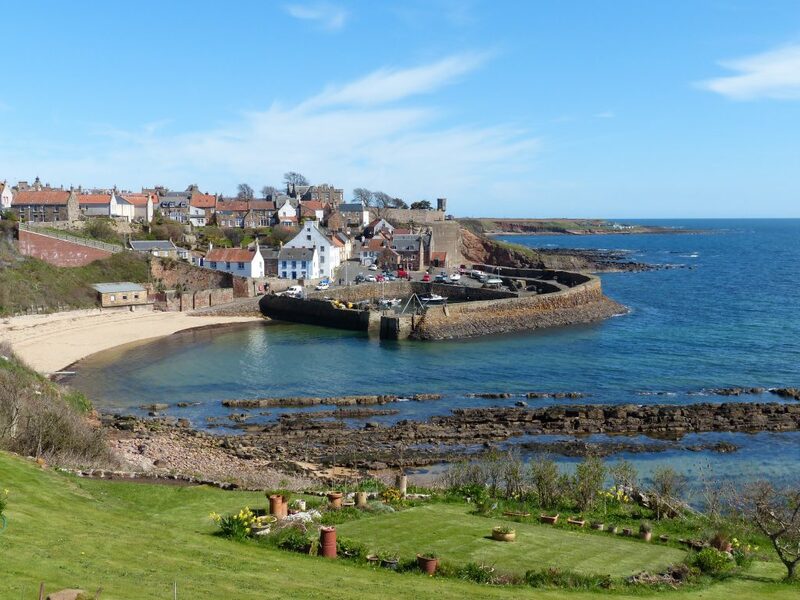 Take an organised tour round Crail with volunteers from Crail Museum and Heritage Centre. Learn about the history of Crail. Booking directly in advance is advisable for any of the activities mentioned. For prices and available dates at Sandcastle Cottage check our Late Availability Page or click on the book now button.